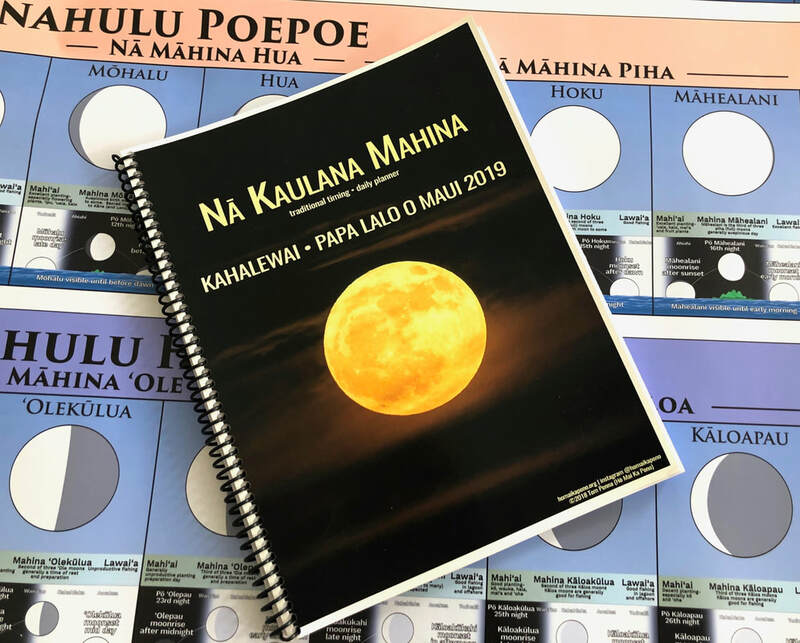 These hui are coordinated by Kayla Shaw (Kahalewai ‘Ohana). Kaylaʻs Wailuku hale is home base for this visit. Each hui is to take place on the 'āina at Ka‘ehu Bay in Waiehu (Across from Paukukalo Hawaiian Homes). Address emailed after registration. No one will be turned away. 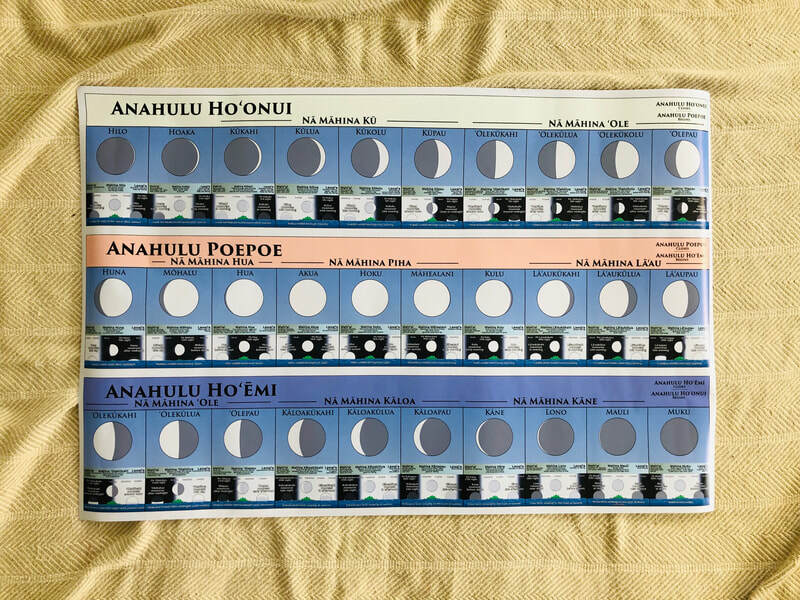 You can support the visit by purchasing a Maui Nā Kaulana Mahina 2019 Daily planner, Nā Kaulana Mahina cards, or Anahulu poster. Each are found below (and on learning tools page). Donations are welcome. Please email if you would like to come and are not able to afford. We want you there. There will be three hui sessions and a talk story session. You can register at the bottom of this page. Address will be emailed upon registration. 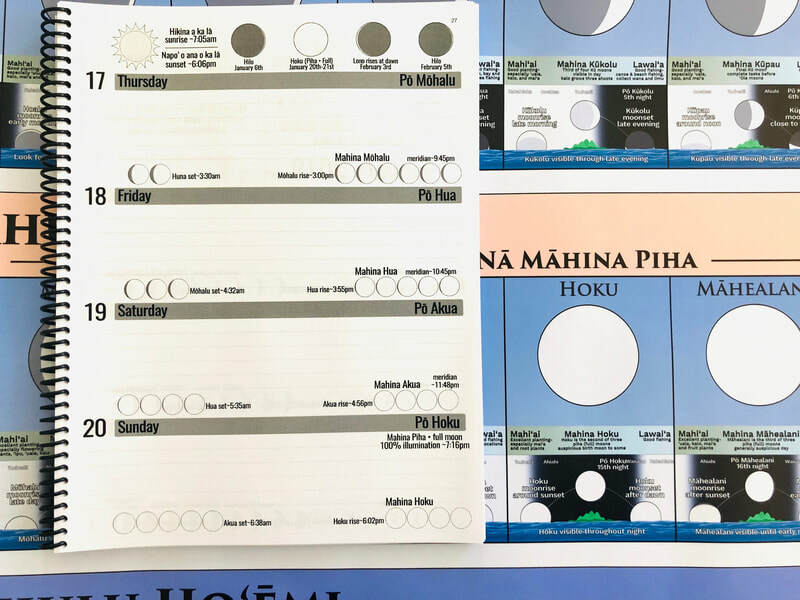 Donʻt forget to order either planner, mahina cards or anahulu poster. If you are attending first hui and plan on attending the second hui then no need donate twice. No donation required for third hui (recovery/PTSD/trauma). 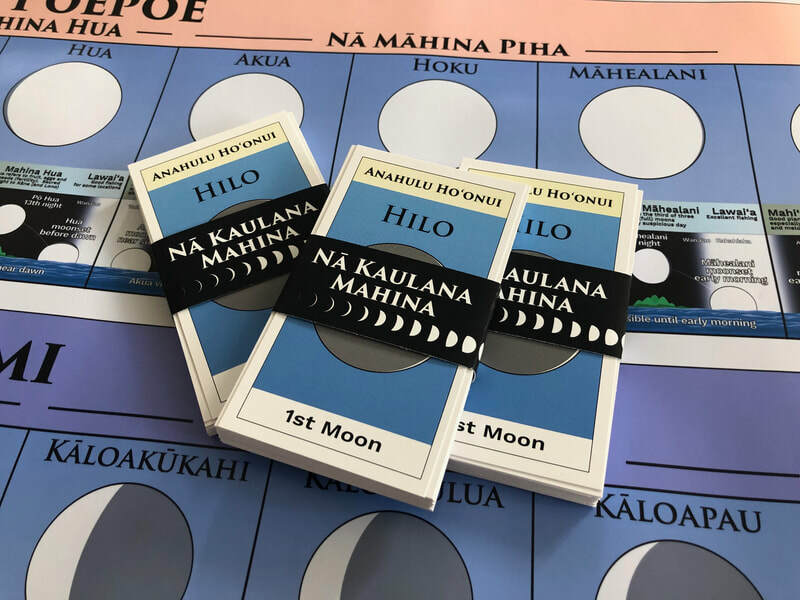 The first hui (Sunday the 20th, noon - 2pm) is open to kāne and wāhine (men and women) and will focus on the healing process that is woven into our relationship with mahina, ka Lā and nā hōkū. 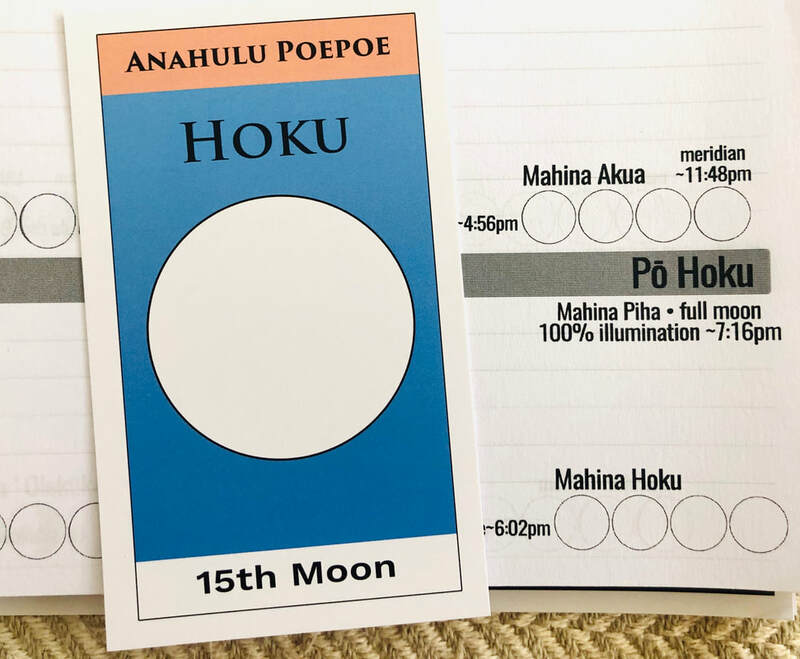 The second hui (Sunday the 20th, 5pm - 8:30pm) will be a wāhine (womens) only hui that is centered around Pōuli (the full moon lunar eclipse). This will be an intensive time of self discovery. The third hui (Monday the 21st, noon - 2pm) will be for people in recovery, dealing with PTSD, or experiencing trauma. Talk story (Monday the 21st, 3pm-6pm) for people that would like more one to one kūkākūkā.